In The Most Popular 100 Languages! 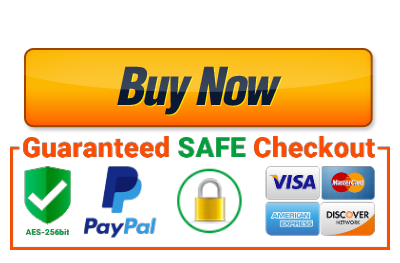 and GET TARGETED TRAFFIC and leads in 60 seconds! Triple your CTR and traffic overnight! 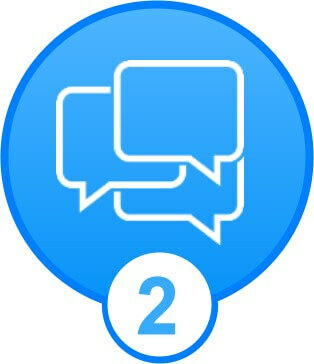 “20 days ago ago I translated all my training videos using Lingo Blaster. I’m VERY IMPRESSED! “I have a very popular fitness channel and I’ve been working closely with the Blaster team since they started the Lingo project. And still you focus all your efforts trying to rank and get traffic ONLY from Google! 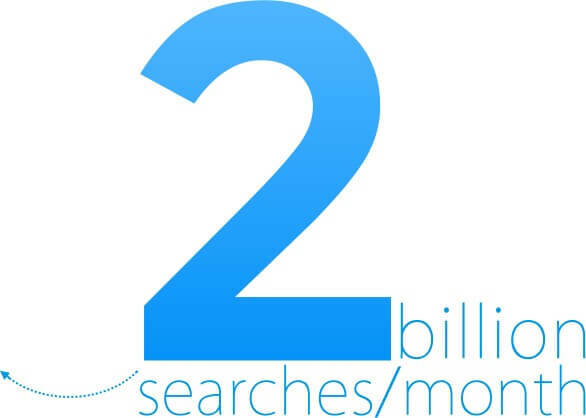 3 billion searches a month. Do the math… 2.2 billion searches each month in foreign languages! They are searching each day for YOUR offer! Are you getting an idea on how much money you are leaving on the TABLE? 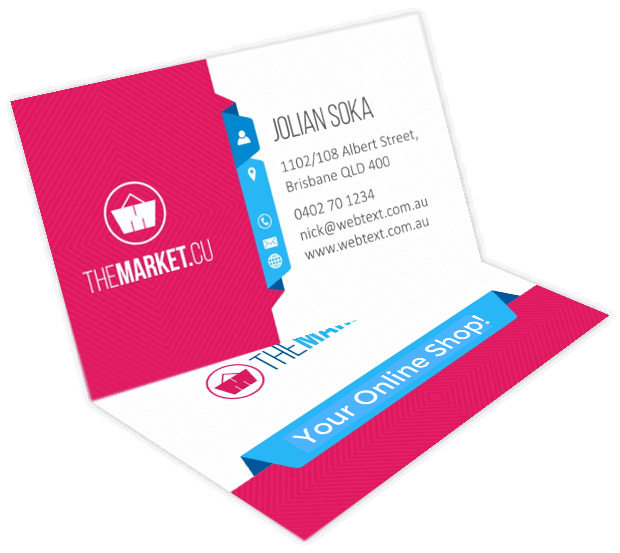 coming in THIS FAST to your websites!!! You don’t even need your site translated! It’s Ali here with my two partners, Vlad and Stoica. for well over 20 years. We have tried and tested every sneaky SEO ranking tactic in the book. And THIS was by far the FASTEST and EASIEST way to triple our organic traffic overnight! We found a way to break the Language Barrier! we can do that with any video! The​ ​number​ ​one​ ​thing​ ​that​ ​works,​ ​right​ ​now,​ ​and​ ​isn’t​ ​about​ ​to​ ​change​ ​anytime​ ​soon​ ​is ranking​ ​Youtube​ ​videos. However, we didn’t stop making money from free “Search” traffic. And let me tell you…THAT WAS THE BEST DECISION WE EVER MADE!! We found out that not only videos rank better and the traffic converts 10x better! RANKING for all the foreign languages that we want! RANK for 100 LANGUAGES !!! and it would be ULTRA EXPENSIVE! But don’t worry… what used to take weeks … now takes SECONDS!! 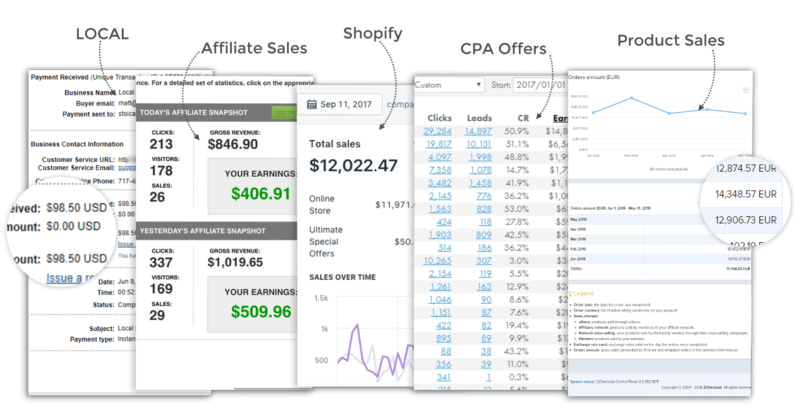 3X More Views, Traffic And LEADS! For The Most Popular 100 Foreign Languages! and triple your traffic and leads overnight! 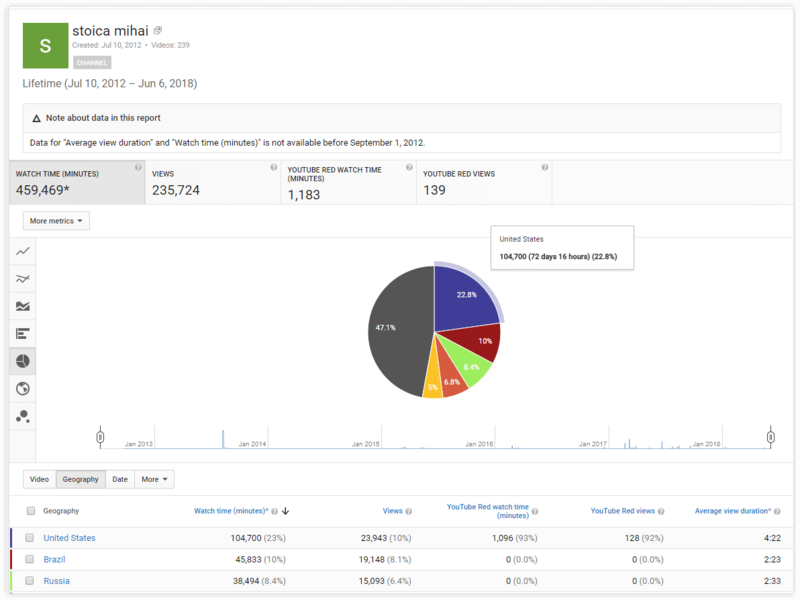 Only 22.8% of my viewers are from US! you are leaving on the table ??? 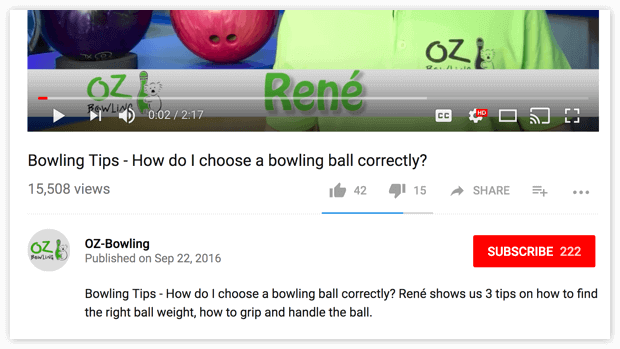 The original description for this Oz-Bowling video is written in German. it is 100 times easier to rank in foreign languages than in English. 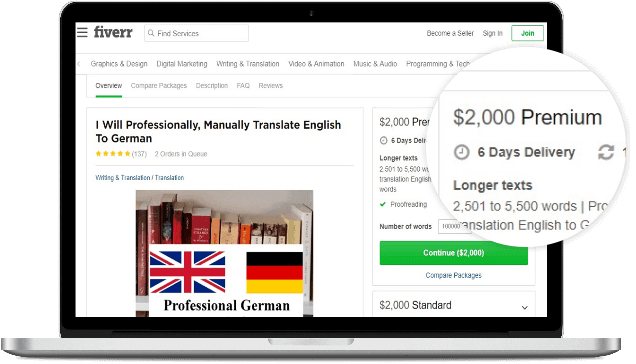 While targeting English keywords you “fight” with hundreds of other marketers for that keyword… while all the FOREIGN traffic is RIGHT THERE searching each day after your offer! Do you think he will get more tourists?? 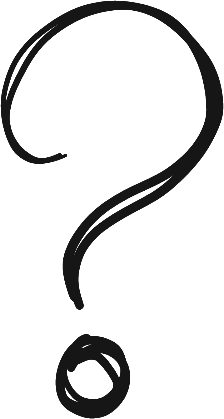 Do you think people are searching after reivew, unboxing or the “best price” for gadgets/products only in English??? 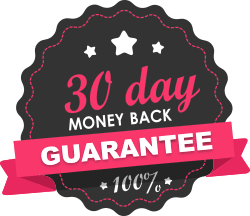 You traffic will TRIPLE overnight guaranteed! Then you can have as much TRAFFIC as you want!!! 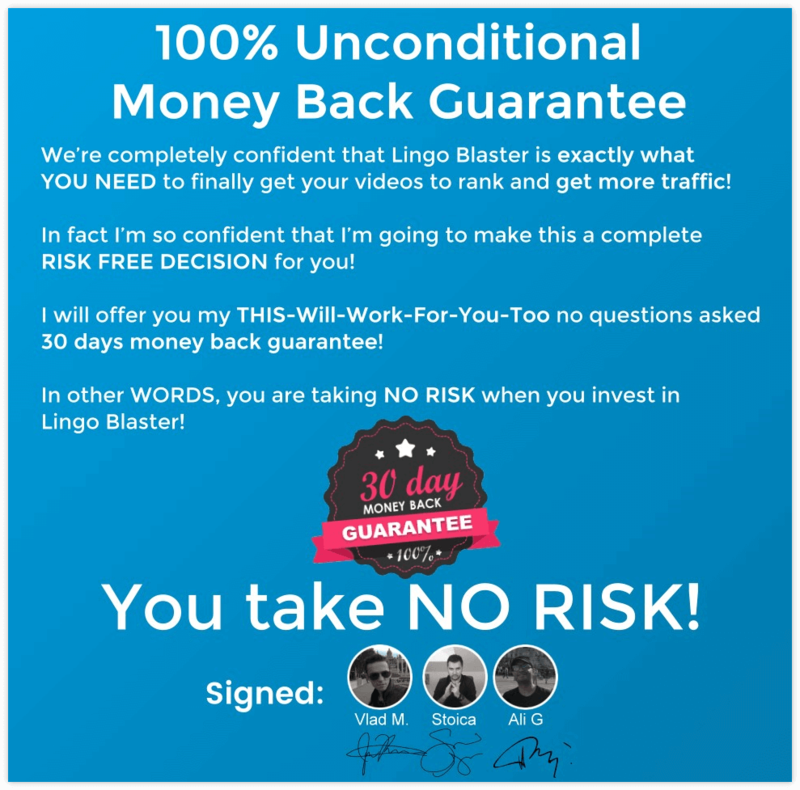 Lingo Blaster is the only way to tap into the 75% of the market you IGNORED until now and get a tidal wave of traffic to your website starting with tomorrow! SEO Experts or Conversion GURUS! You were just doing SEO the WRONG WAY!!! While the REST of the pie is there for you to take! It is 100 times easier to rank in foreign languages than in English! 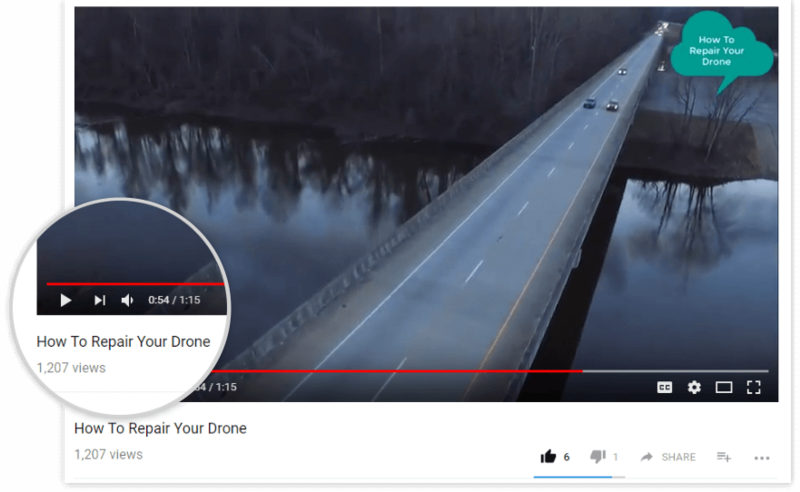 You just have to connect your YouTube account with our cloud-based software and select the video that you want to use. Choose the languages that you want to target. 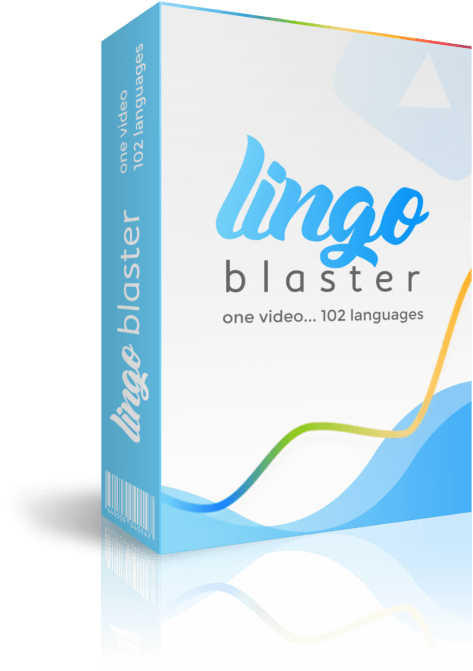 With only one click LINGO Blaster will automatically translate your video details. 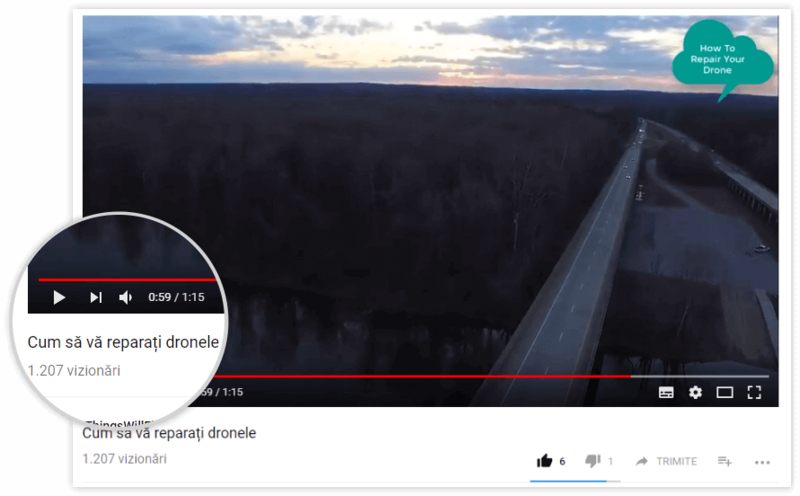 Your video will show and index in all the selected languages. 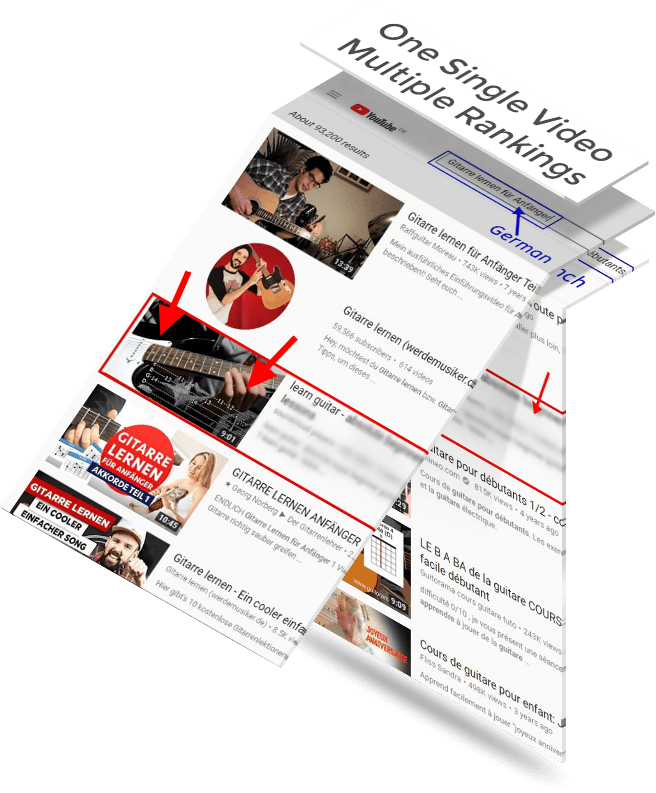 In a short amount of time your video will start ranking and you’ll get a ton of FOREIGN TARGETED traffic from your videos! in the most popular foreign languages! and THEY got amazing results too! You don’t even have to upload new videos! 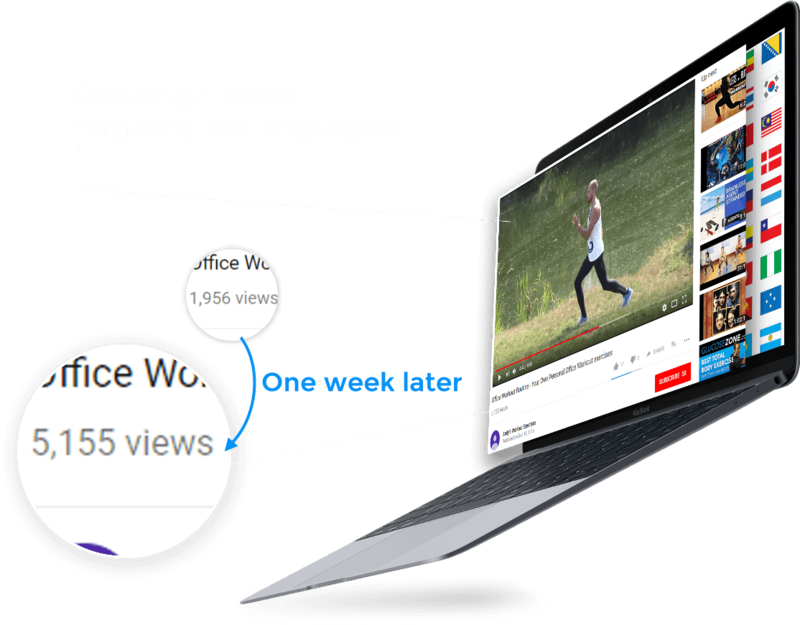 With only a few clicks you’ll be able to translate your videos in over 100 foreign languages and tap into that HUGE untapped market! 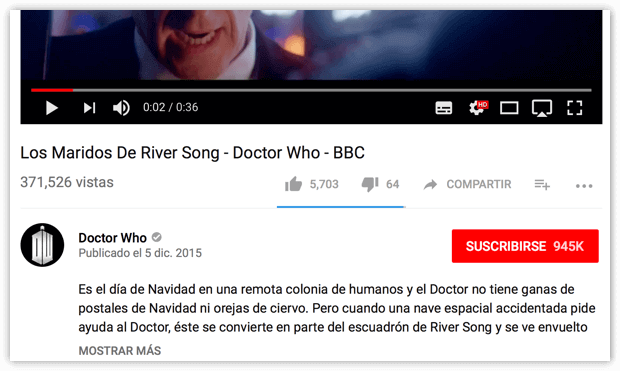 Your video will STAND OUT from your competitors, because you will be the ONLY one who will address to your viewers in their native languages… and because of that, your traffic will convert 10x better! 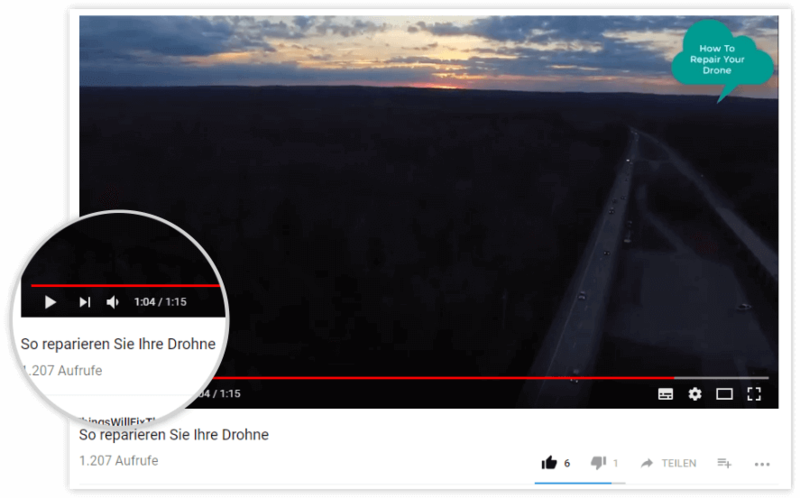 Your videos will start to rank for foreign keywords! I don’t want to you to struggle, suffer and spend a fortune trying to do this manually! 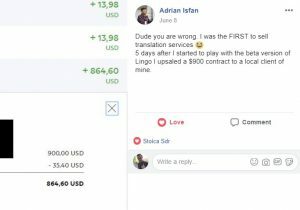 Paying for translations… for a single video will cost you at least $2000! You won’t have to pay that! I’m offering everything you need on a silver platter. All you’ve got to do is take action…. That TRANSLATES as many videos as you want in the most popular 100 foreign languages!! Doesn’t Get Any Easier Than This! 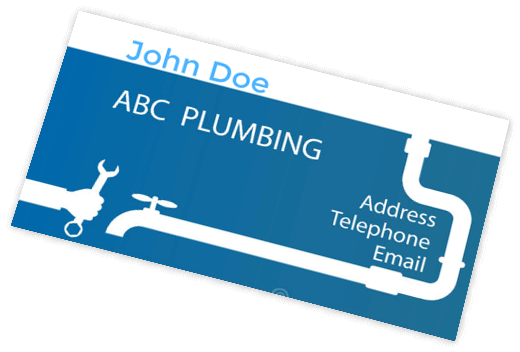 No other tools are required, no waiting, no monthly fees, no hidden costs! I want you to take a moment to imagine if starting with tomorrow all the videos that you ever UPLOADED online would start delivering you HIGHLY targeted traffic from all around the world??? Imagine what it would be like if in one week from today, all your traffic worries were over. Imagine getting tons of targeted visitor traffic to your offers. Traffic that will convert 10x better than whatever you’re doing right now. Now…Do you want to make that a reality? I’m ready to get to the next Video Marketing level. 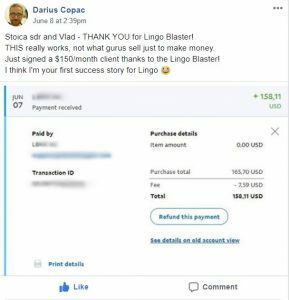 Lingo Blaster will get me more leads and more sales! Lingo Blaster is an unfair advantage and I will use it wisely.  I will get a tidal wave of highly targeted video traffic! 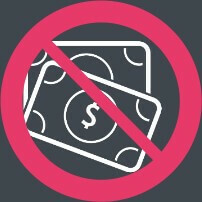 One Time Payment – No Monthly Fees! Is this a Cloud-Based software? 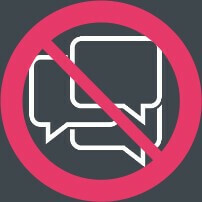 Yes, Lingo Blaster is a cloud based solution. 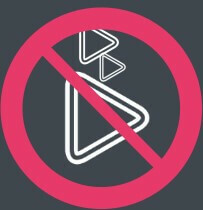 Everything is hosted on our servers, nothing to download or install. You can use Lingo Blaster from your destktop PC, Apple or even from your smart phone. Do I get free updates for Lingo Blaster? YES! You get 100% free auto updates. Whenever a new update is out, since everything is stored in the cloud, you will instantly be upgraded. You don’t need to worry about checking manually for updates,everything is done 100% automatically, hassle free. You can use Lingo Blaster as it is, you don’t need to purchase anything else. 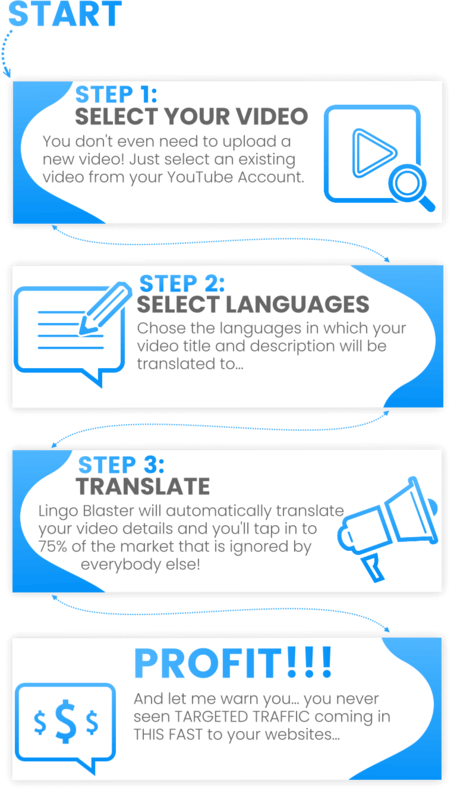 However after your purchase Lingo Blaster we will give you a super good deal to other Blaster Products that can change the way you are doing Video Marketing! When Can I start getting Traffic From Lingo? We think, you can see traffic as soon as today. 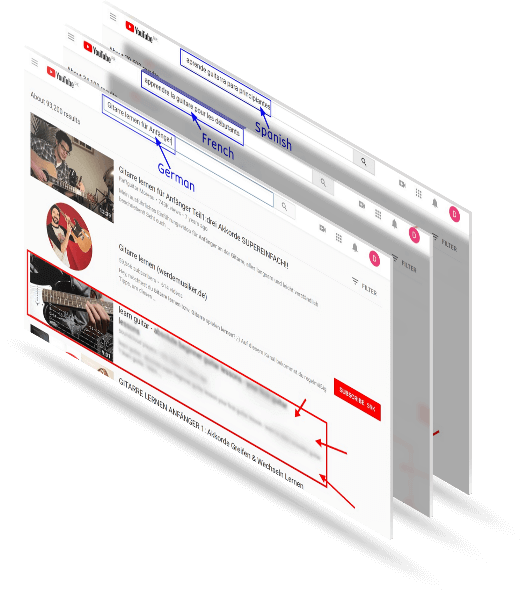 You can instantly start RANKING and TRANSLATING your existing YouTube videos, and those videos will get bigger international exposure, from day 1! Ok, I’m Sold… How Do I Order? Simply order through one of the buttons you see on this page and you’ll get Instant access to Lingo Blaster through our jvzoo integration. Just check your inbox/spam folder and you will receive your registration details! What happens if I miss out on This Deal? This is a VERY limited offer and a ONE TIME PAYMENT. 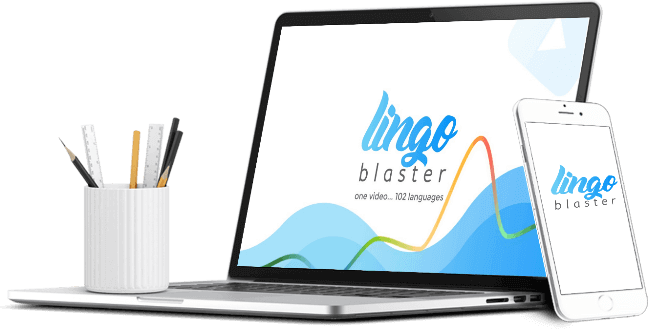 Once the launch special ends, Lingo Blaster will only be offered for $97 / $47 a month. So if you want to get more traffic at an absolute steal – don’t sit on the fence, act now and don’t miss out. 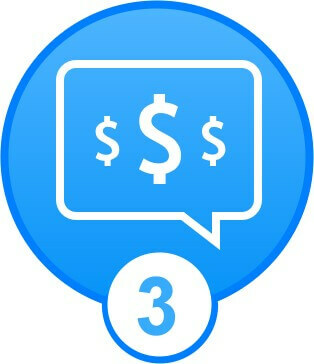 I forgot to tell you about the bonuses! 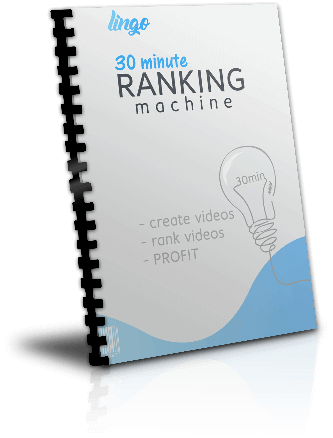 We will teach you our SHORTCUT method that will allow you in 30 minutes to have your videos created and ranked. 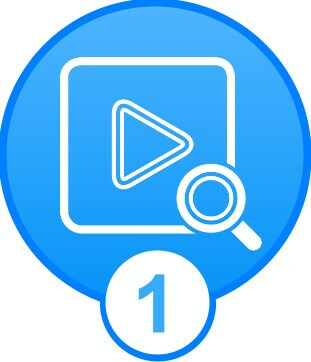 We will show you how to create your first video created from scratch, upload and rank it on the first page of Youtube guaranteed!! 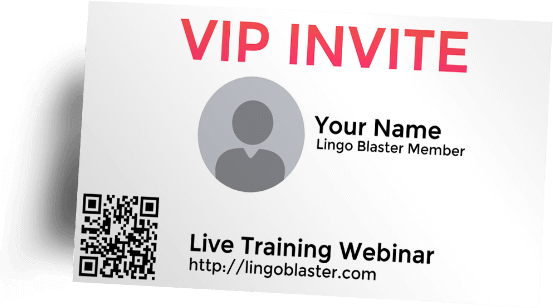 This live training will show you how Put Your Lingo Blaster Rankings On Steroids – Our Secret Sauce To Rank Higher & Faster! The potential of Lingo Blaster is extremely powerful. It gives you the ability to literally manipulate YouTube RESULTS. 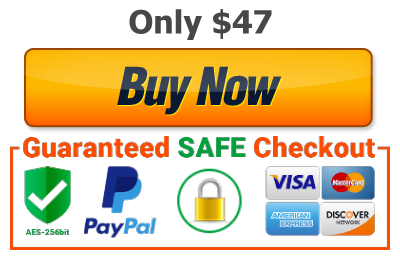 powerful TRAFFIC method only for the ultimate good of your customers. “I’m have a very popular fitness channel and I’ve been working closely with the Blaster team since they started the Lingo project. 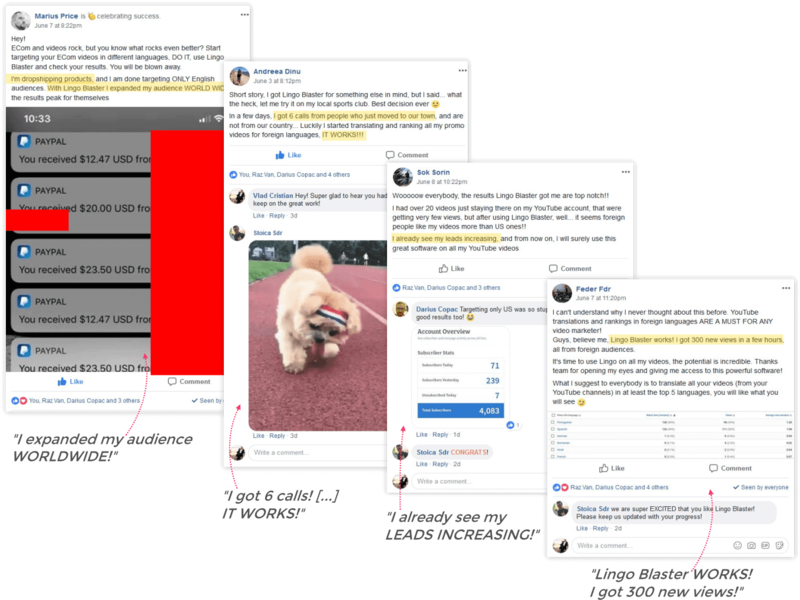 I’m dropshipping products, and I was targeting ONLY English audiences. 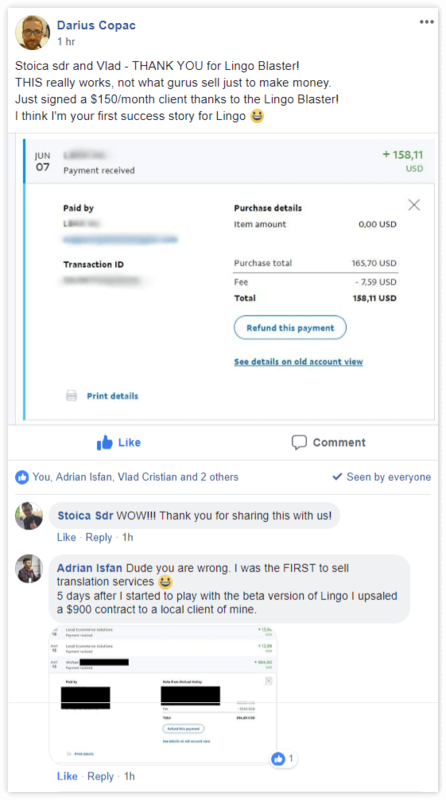 With Lingo Blaster I expanded my audience WORLD WIDE and one day later, 9 orders from WORD WIDE traffic! They’re consistently updating, improving and providing the most AMAZING customer experience! 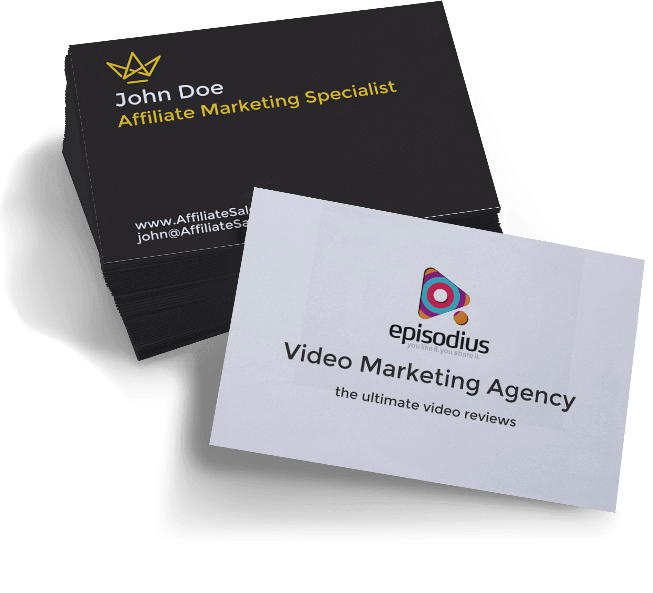 […] There are very few people that I would actually put my name to when it comes to video marketing, but these guys are right there at the top. “I live here in Southern California and there is a huge Spanish speaking population that I ignored until now. It’s been said that in your moments of decision your destiny is shaped. What will you decide to do right now? The same thing you’ve been doing so you get the same 10 visitors per day traffic? Tap into the 75% of the market that you IGNORED until now!